LOS ANGELES, March 28, 2014 /PRNewswire/ — Among the most highly anticipated films to be released in 2014, Stoney Lake Entertainment announces the full-length action-adventure motion picture LEFT BEHIND. The movie stars Academy Award winner Nicolas Cage (NATIONAL TREASURE, CITY OF ANGELS, THE CROODS) as Rayford Steele, as well as Chad Michael Murray, Cassi Thomson, Nicky Whelan, Lea Thompson and Jordin Sparks. The movie is directed by veteran filmmaker, Vic Armstrong (THOR, AMAZING SPIDER-MAN, WAR OF THE WORLDS), widely renowned for directing action sequences. LEFT BEHIND is produced and distributed by Stoney Lake Entertainment, with the national release slated for October 3, 2014. “My greatest hope for this movie is that people will be entertained and thrilled by it, but also that they’ll go home and have conversations with their family, and ask ‘do you think this could happen, or couldn’t happen?’ and it’ll inspire discussion and closeness,” says leading actor Nicolas Cage. Entertainment One has acquired the domestic home video rights. 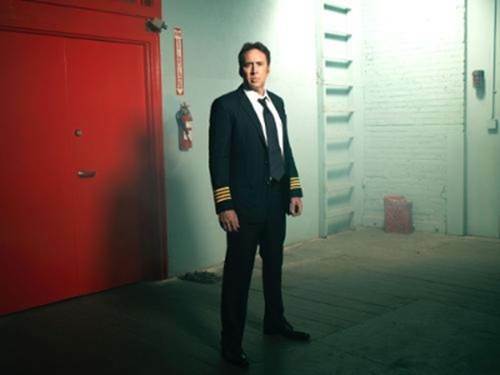 For the latest news and updates regarding LEFT BEHIND, please visit: http://www.leftbehindmovie.com.